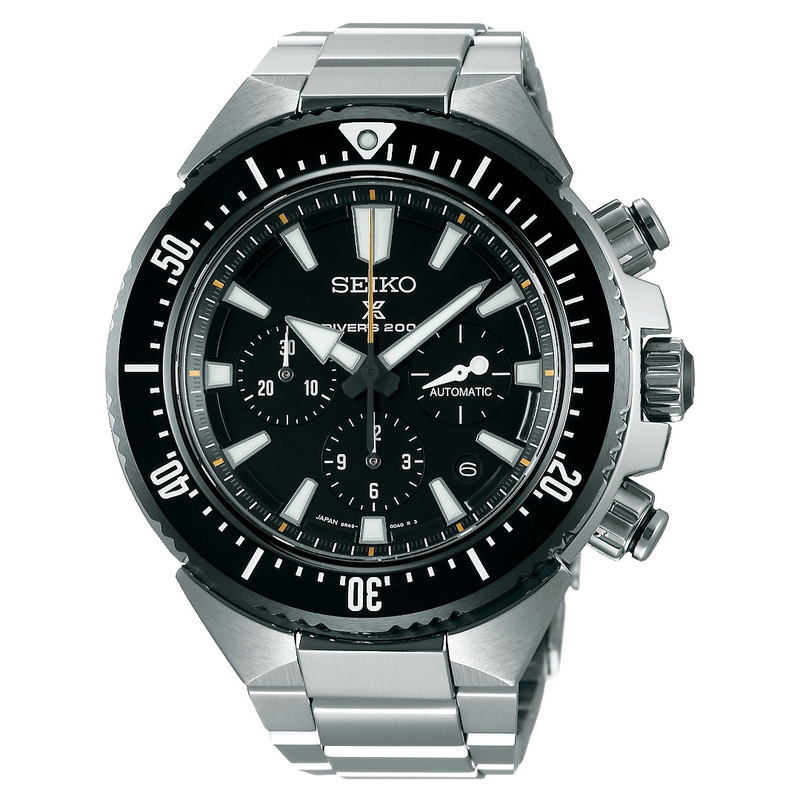 This is the new SEIKO Prospex Diver Chronograph Ref. SBEC001 which is basically the same high-end divers watch as the RISINGWAVE Ref. SBEC003 that we saw last month. Its case is made from Stainless steel and has a Dia-Shield coating which is kinda like Citizen’s Dura-Tec so it’s super scratch-resistant and basically ultra-tough. It is fitted with: a screwdown crown, chrono-pushers and caseback, a Sapphire crystal with anti-reflective coating on its inside and a unidirectional rotational divers bezel with a black ceramic inlay. Further divers features include: anti-magnetic, 200m of water-resistance so that it is suitable for scuba diving and DLC coated steel bracelet with a double-locking divers clasp with push button release and divers extension. Dimensions of the case are as follows: 46.5mm x 16mm x 53mm lug-to-lug. It has a total weight of 242g. Its dial is in a deep black and is fitted with Seiko LumiBrite applied hands and markers. Power comes from a Japanese Seiko in-house caliber 8R49 with 34 jewels and an accuracy of -15 to +25 seconds per day. Its functions include: a chronograph up to 30 minutes, 12 hours and sub-seconds. 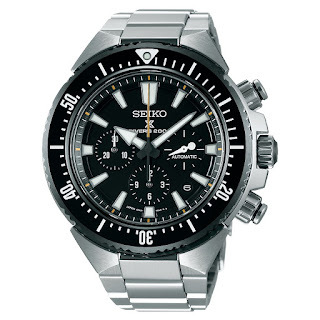 SEIKO Prospex Diver Chronograph Ref. SBEC002 retails for 320,000¥ exe. VAT, the equivalent of 3185USD.